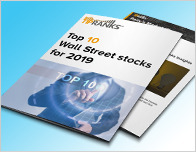 Companies in the Conglomerates sector have received a lot of coverage today as analysts weigh in on Fuelcell Energy (NASDAQ: FCEL) and Acuity Brands (NYSE: AYI). In a report released today, Colin Rusch from Oppenheimer initiated coverage with a Buy rating on Fuelcell Energy (NASDAQ: FCEL) and a price target of $4. The company’s shares opened today at $1.87. 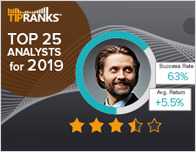 According to TipRanks.com, Rusch is a 4-star analyst with an average return of 7.4% and a 53.5% success rate. 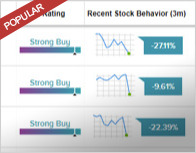 Rusch covers the Industrial Goods sector, focusing on stocks such as Capstone Turbine Corp, Amer Superconductor, and Canadian Solar Inc.
Fuelcell Energy has an analyst consensus of Moderate Buy, with a price target consensus of $2.63. In a report released today, Craig Irwin from Roth Capital maintained a Sell rating on Acuity Brands (NYSE: AYI), with a price target of $150. The company’s shares opened today at $172.03. 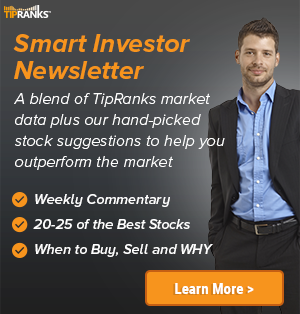 According to TipRanks.com, Irwin is a 3-star analyst with an average return of 1.5% and a 51.6% success rate. Irwin covers the Industrial Goods sector, focusing on stocks such as Revolution Lighting Technologies, Cooper-Standard Holdings, and Dynamic Materials Corp.
Acuity Brands has an analyst consensus of Moderate Buy, with a price target consensus of $199.